To Spread the value education of equality as well as equity,International Co-operation,Non-Violent Co-existence,Love,peace ,Justice and Fostering of Human rights for all. Job Oriented training(educational as well as Vocational) programmes for poor section of Society with focus on women/Girls and unemployed youth to better. To uphold and foster UNIVERSAL DECLARATION OF HUMAN RIGHTS OF UNITED NATIONS and the equivalent right guaranteed by Indian Constitution. To spread awareness about pollution and population problems and their solutions. To provide legal aid and advice for the weaker needy people of the society and to raise a vice for equitable distribution of world’s wealth and resources. To oppose violation of Human Rights by Violence of Political groups or terrorists. To spread awareness about the interplay of Human rights and power structures in shaping an individual’s life in all its spheres. This relationship between human rights and democracy, peace development and International relations is crucial element for implementing those rights. To bring about sense of unity among people,especially the youth,by breaching the barriers of caste,religion and culture and support the work of specific National Human Rights Commission like those of Women,SC.,S.T. and other Ngo’s media Organisation working for Human rights. To work for social progress and betterment of standards of living in cooperation with the Indian Government and other Courtires to better promote the cause for human rights. To create an environment as well as an understanding that Human rights can easily become vulnerable to abuse of various structures and processes of power and to examine the inter dependence of and linkage between Human rights and democracy, pluralism, Development, ecological balance, peace and harmony at the national and international levels. To aid the International Court of Justice in upholding the aspirations of human rights in an attempt to further the cause of Human rights education and acceptance. To set up Rehabilitation Centre’s for the Victim of Human Rights Violation. To help freedom fighters, widows/war widows and orphans by various ways. 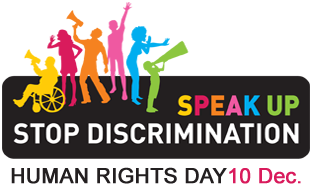 Everyone knows about Human rights concepts, use and implementation in their life and Human rights education from school level.